the college is worth studying as it provides good teachers, activites and its safe for girls. Its been three years and I use to go to college as it is its my home. 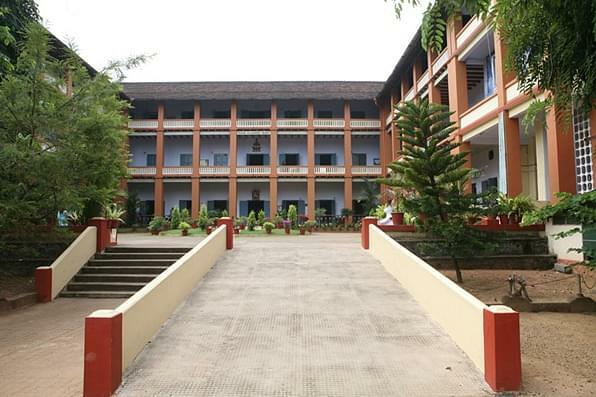 Assumption College is affiliated to Mahatma Gandhi University, Kerala and is among one of the biggest and the most prestigeous women’s colleges in the state accredited by NAAC. For more than half a century, Assumption College has been in providing valuable services in the field of higher education. Dr. I'ma Neerakkal, one of the staff of the college was honoured with “The Young Scientist Award” by the Government of Kerala. The college was started in the academic year 1950-51, with a strength of 358 women students which has now grown with more than 2000 students in the 16 degree courses, 6 Post graduate courses and other courses in the diverse streams. Assumption College is best known for their standards of discipline, academics and outstanding culture. The college has achieved the prestigious “R Shankar Award” from the Govt of Kerala for best college in the state in 1996-97. The college was one of the first colleges to be honored so. The college became the first among the all others to receive the “Kerala Sports Council’s Award” for the best college in Sports & Games. The library was established in 1953 and inaugurated in 1994. Soul software from INFLIBNET and Campus Net are used in the library for doing all transaction. The library resources are met mainly from the UGC Grants, Management fund and P.T.A collection. OPAC (Online Public Access Catalogue) service available in the Library as well as in all the departments of the college. The college auditorium has 1000 seat capacity is used for small functions in the campus. The Kavukattu Hall has a capacity of 2000 seats and is used for functions involving the whole College. 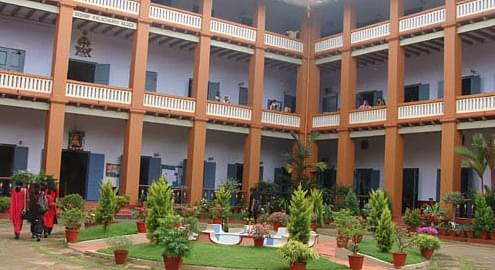 The College provides residential facilities to about 600 students in six different hostels attached to the college. The hostels are known for their discipline, cleanliness, and excellent infrastructural facilities. Vocational Service Award of District Public Image Committee & Rotary Club Changanacherry to Assumption College for its Meritorious Contributions in the field of Entrepreneurial Development of Women. The College has been selected as the Best College in Sports and Games by the Government of Kerala for the year 2013 and the Head of the Dept of Physical Education, Prof. Ninamma Thomas has been selected as the Best Physical Education Teacher for her excellent contributions in sports and games. College is honoured with 'Institutional Excellence Award' by 'All Kerala Catholic Congress, Archdiocesan Committee' for the Meritorious Contributions in the field of Higher Education in Kerala. P S Job Award-2009 from AIACHE for the most Innovative Programme in Colleges. College wins the prestigious Sr Hedwige’s National Award for the Best College, instituted by the Xavier Board of Higher Education in India. Winner of National Environmental Awareness Award instituted by Khadi and Village Industries Development agency of India, New Delhi. Dr. I’ma Neerakal, Dept. of Botany is honored with the Young Scientist Award by the Government of Kerala. 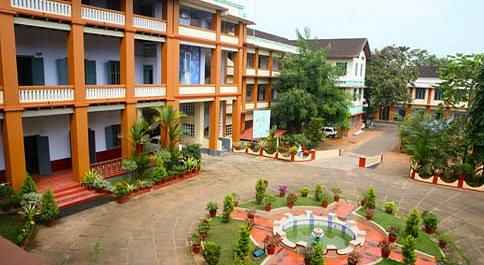 College becomes the recipient of Kerala Governments R. Shankar Award for the Best College in the State. Assumption College became the first recipient of the Award instituted by Kerala Sports Council for The Best College for Sports & Games.